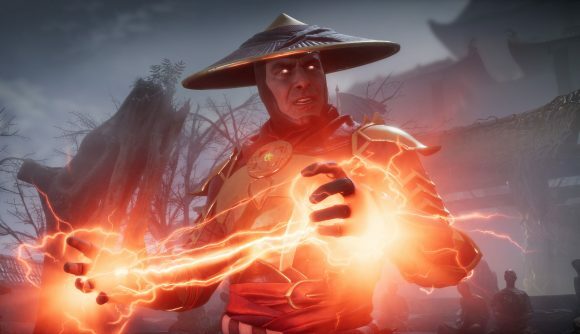 You’ll be able to spend real money in Mortal Kombat 11, but only to buy cosmetic items and consumables that you can earn by playing the game. Developer NetherRealm says its in-game currency is only meant to save time, they won’t be gating any content behind microtransactions. Mortal Kombat 11 producer Shaun Himmerick announced the in-game currency on the latest Kombat Kast. You’ll be able to buy ‘time crystals’ with real-world money, and those can be used in the store to buy things like character skins, emotes, gear, and easy fatalities. But as Game Informer reports, Himmerick was careful to point out that nothing you can buy in the store will give you an edge in fights, and everything you can buy with the crystals is also available to earn in the game without spending an additional cent. He said you will also receive periodic time crystal drops as a normal part of playing the game as well, so that’s another way to get your hands on a particular outfit or victory pose you have your dangling, popped-out eyeball on. Of course, the question that remains is the conversion rate – not necessarily the currency-to-crystals exchange, but the crystals-to-time exchange. In other words, how much time are you saving by using premium currency? The amount of time it took to unlock all the heroes in Star Wars Battlefront II became a major point of contention when that game launched, and eventually led to EA completely reworking its microtransaction system. But NetherRealm has committed to a ‘no loot box’ policy on Mortal Kombat, and while it’s open to adding additional moves post-launch, the company’s history suggests that anything that has an impact on gameplay will be free of charge.